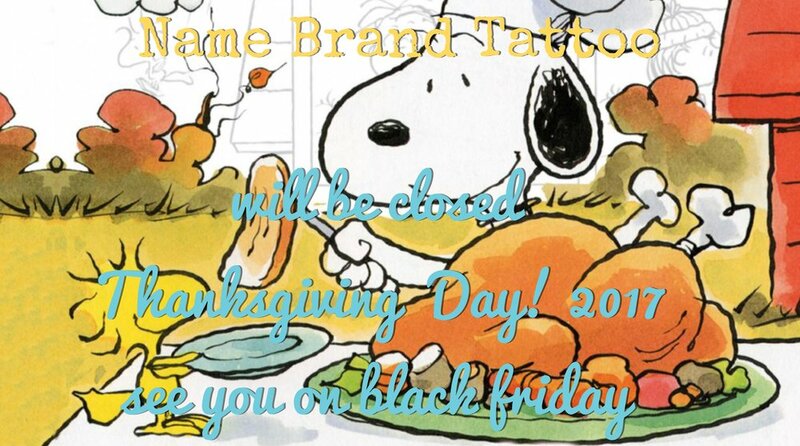 Name Brand Tattoo will be Closed Thursday November 23rd, 2017 for the Thanksgiving Holiday! We will be back to normal business hours Friday November 24th! See you then! We at Name Brand Tattoo would like to give thanks to all of our wonderful customers! We hope you all enjoy the holiday with your friends and family.